The Team Ergo Demo Van is in Santa Cruz this weekend. 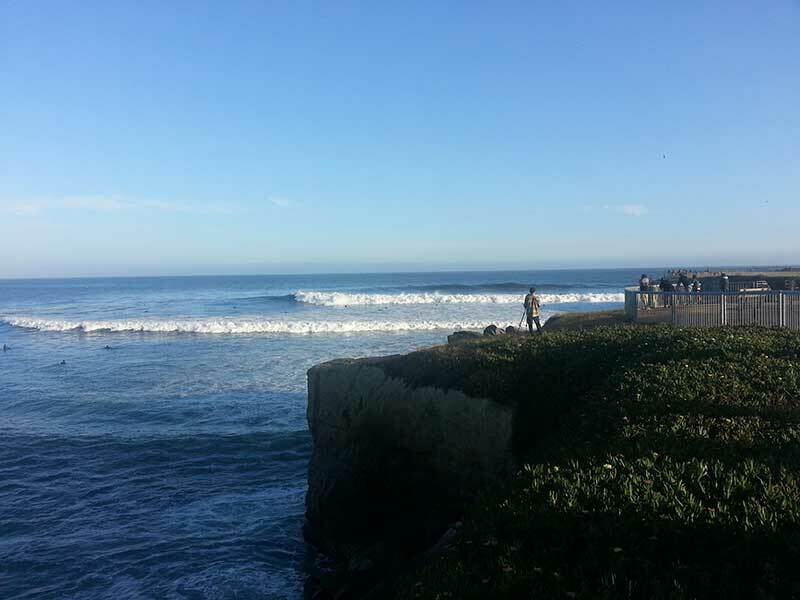 PaddleAir founder, Dave Hilts will be participating in the 2013 Santa Cruz Longboard Surf Contest at Steamer Lane over the weekend. And, of course, Dave will be visiting surf shops in the area and giving demos of the original Ergo and the new Ergo vest. The Santa Cruz event is the longest-running longboard surfing contest on the West Coast. This year's event, judging from the surf in this photo below sent in by Dave, it promises to be one of the best.